In September of 1971, I was a 24 year-old third year teacher sitting in the auditorium of Bristol Junior-Senior High School with my teacher colleagues. Our new superintendent, Dr. Michael Zotos, was up on the stage with transparencies and an overhead projector showing our school district's ranking, based on test scores, against the 12 other school districts in Bucks County, Pennsylvania. Bristol, a small, working class school district with considerable poverty, ranked in the middle of the pack. The superintendent found this concerning. As a newly minted member of the Bristol Borough Education Association's negotiation team, I had some data, too. I raised my hand. "Dr. Zotos, I see that the test scores show that we are about average in achievement across the county. Is that correct." "Yes. As I have shown here." "Isn't it also true that Bristol Borough teachers are the lowest paid teachers in the county?" "Yes, from what I saw reported in the papers, that is also true?" "Well then, Dr. Zotos, couldn't we say that the taxpayers of Bristol are getting a very good bang for their buck?" "Why, yes, I suppose that is true." I tell this story today, because forty-five years later research shows that this "bang for the buck" is still true. A report from the Brookings Institute yesterday cites a recent study by Erik Hanushek and others on teacher cognitive ability in literacy and math around the world. Now normally I am very suspect of research on education done by economists and especially research on education done by economist Erik Hanushek, who is the father of value added measures (VAMs) and fire your way to excellence. While I am circumspect, however, I think their is information of value in this study. The findings of the study can be summarized as follows. As measured on the Program for International Assessment of Adult Competencies, American teachers are about in the middle of the pack relative to other college graduates in the United States when it comes to literacy and numeracy. In literacy, teachers score slightly above the norm. In numeracy, teachers score somewhat below the average. But the researchers also looked at teacher salary compared to other college graduates. What they found was that compared to the other 23 countries in the study, American teachers rank dead last in pay in comparison to other college graduates in their own country. In the US, teachers earn 20% less than the typical American college graduate. In Finland, teachers earn 12% more than the typical Finnish college graduate. American teachers don't have the great basic skills we'd like them to have, not compared to the rest of the world they don't. But, we way underpay for the skills they do have (emphasis mine). Of course, there are many caveats to be applied when we look at this study. Teaching is a much more complex activity than a simple cognitive standardized test can measure. Teachers need superior non-cognitive skills as well as cognitive skills. Teachers need huge reserves of emotional intelligence and empathy. Cognitive ability is but one measure of the overall abilities of a teacher. It is also true that money is not a chief motivator of teachers. Still it is clear that in the United States we have tried to do education on the cheap and it is costing us in many ways. In this country we are offering teachers a bad deal. Go to school. Earn professional credentials. Come out and go to work for 20% less than your college classmates. You would think that corporate education reformers, with their market driven ideology, could figure this one out. 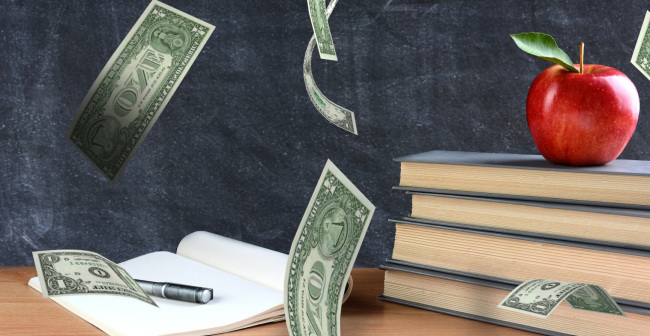 In order to attract more highly qualified teachers, we need to pay more from the start. We should do away with grades for reading. Reading is a skill, not a subject. I do not like grades in general because they typically don't tell us much about how to improve learning and they can destroy the motivation of kids who get low grades. 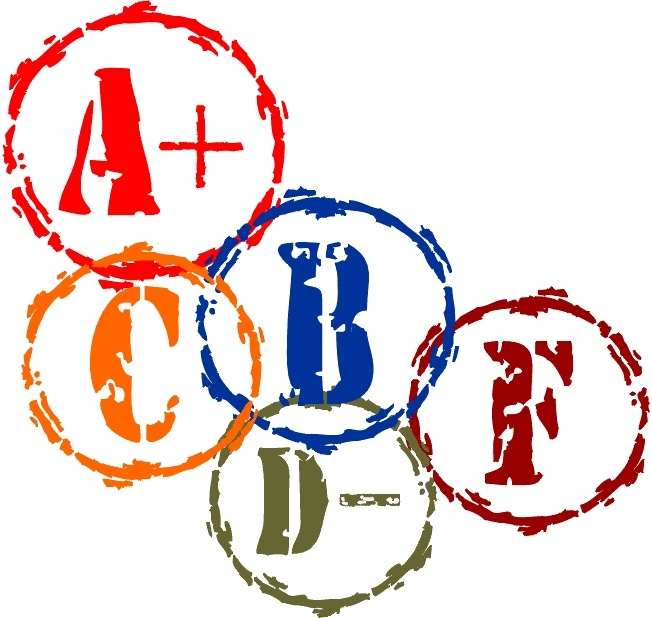 Grades do make some kind of sense, however, in content areas like social studies, science and math, because there is content to be learned and specific knowledge to be assessed. Reading does not have a content, unless we artificially invent one for it. And when we invent content it often leads to bad instructional practice. For more than 50 years we have known that giving kids 10 vocabulary words in a list on Monday, having them look them up and write them in sentences, and them quizzing them on Friday, does not improve vocabulary knowledge. When I ask teachers why they still do it, the answer is often that they need some grades for the "Reading" section of the report card. What goes into a reading grade? Typically these grades include, vocabulary quizzes, spelling tests, reading skill worksheet completion, homework completion, perceived student effort, and perhaps participation in reading group discussions. I ask that you notice that none of these things have anything to do with actual student reading ability. Under this system, it is possible, in fact, likely, that a student who is a poor reader could get an A and a strong reader could get an F. We have all had the strong student who repeatedly failed to complete assignments or put out much effort. Does that student deserve an F? And do we really want to report to a parent of a poor reader that the child is achieving an A in reading? When I bring this up to teachers or administrators, I am often told that parents expect a grade. This is no doubt true, but parents only expect a grade because we have been providing these grades for 100 years. 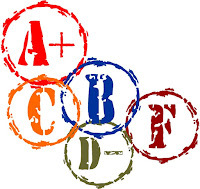 Parents think they know what grades mean - A is very good, F is very bad and everything else is somewhere in between. We need to show parents that grades carry so much baggage that they are practically meaningless in informing them about their child's reading performance. And we need to show them that there is a better way. That better way would report to the parent on what the child knows and is able to do in reading. Simple brief answers to a few questions on a report card would do it. Is the student below, at, or above expected reading level for grade/age? Does the student read with appropriate fluency for grade/age? Does the student read with appropriate comprehension for grade/age? Does the student choose to read independently? What are the student's reading goals for the next marking period? Notice the item on "choosing to read." I think that it is important to communicate to parents that successful readers have both the skill and the will to read. I have worked in two school districts that did away with grades in reading. It was not easy. It required visionary leadership and a great many teachers working together to make it happen. It required getting the administration on board. It required innumerable parent meetings to explain the changes and then individual teachers explaining the changes to parents at conferences. Eventually, it worked and the changes have stood. You can find the procedure we followed here. Why would anyone want to take this on? Because a better way of reporting about reading, will lead to a better way of thinking about reading and a better approach to teaching reading. What Is the Best Way to Assess Early Literacy? Recently a teacher wrote to me about her school district's plans to scrap Running Records and use a combination of DIBELS and AIMSweb for assessing early literacy abilities. She asked for my help in fighting this ill-advised policy move and I provided some research based resources. I am pleased to say that this teacher, through her informed and impassioned action, was able to prevail and the elimination of Running Records was shelved. This incident got me thinking and I decided to write this post to clarify some issues on early literacy assessment. As I travel to schools around the country, I have noted the proliferation of DIBELS and AIMSweb. Both DIBELS and AIMSweb are called "curriculum based measures" or CBMs. This term sounds good, of course, and may help administrators sell the product to school boards, but as literacy assessment expert, Peter Johnston points out, neither of these measures is curriculum based, unless we consider counting correctly pronounced words in a one-minute reading a part of the curriculum. I would like to compare these assessments of early literacy to two assessments that I think are more enlightened and effective: Running Records and The Observational Survey, both devised by literacy researcher/educator Marie Clay. mis-predicts reading performance on other assessments much of the time, and at best is a measure of who reads quickly without regard to whether the reader comprehends what is read. The Running Record and Observational Survey take a more holistic approach. The Observational Survey is generally used with children after the kindergarten year and specifically with students who are struggling to take on beginning reading instruction. The Running Record is typically used with students who have begun to read, but is also a part of the Observational Survey. The Running Record requires the teacher to listen to a child read a chosen text on a particular reading level. While the student reads the teacher notes words read correctly, words read incorrectly, substituted or omitted, self-corrections, general fluency, etc. The Running Record session may end with some questions for comprehension check, or more appropriately in my view, with a retelling. Concepts about print to discover what the student understands about the way spoken language is represented in print. Letter identification to find out which alphabetic symbols the student recognizes. Hearing and recording sounds in words to assess phonemic awareness and spelling knowledge. Running Records to provide evidence of how well the student is learning to use knowledge of letters, sounds, and words to understand messages in text. Early literacy assessment must inform instruction in productive ways. Early literacy assessment is best when it resembles actual reading. Early literacy assessment is best when the child's teacher does the assessment. Early literacy assessment must help teachers identify what a child can do independently and with different kinds of support. Early literacy assessment must help teachers provide useful information to parents on their child's developing literacy. Early literacy assessment must inform the school on how well a program is meeting the goals of optimizing student literacy learning. I have decided to join that group of scholars and teachers and parents who are convinced that DIBELS is the worst thing to happen to the teaching of reading since the development of flash cards. In contrast, taking a Running Record of a child's oral reading provides the teacher with real, actionable information. By listening to a child's reading and taking notes on that reading, teachers get a window into what a reader knows and is able to do in reading. When the reader makes an error (or in Kenneth Goodman's terminology a miscue), the teacher gets invaluable information for future teaching points. Following a Running Record, teachers can assess comprehension by asking the child to retell what was read. If a student has sketchy recall, the teacher can ask probing questions to get a fuller understanding of what the reader can recall with teacher assistance. All of this helps the teacher develop future instructional targets. I discussed probing for understanding in this post from two years ago. A Running Record, of course, has face validity because it is actual reading. With DIBELS and AIMSweb students do many "components of reading tasks"and read a passage to assess rate of reading, but not actual reading. As I pointed out earlier, this focus on the components of reading and reading speed can and does lead to wrongheaded instruction. Running Records are administered regularly by the classroom teacher. While AIMSweb and DIBELS assessments are often given by the classroom teacher, the information is not actionable as it relates to improved instruction. The Observational Survey is typically administered only to students who are struggling to learn to read and take on reading behaviors at the end of kindergarten or the beginning of first grade. These surveys are administered by specially trained teachers who will use the information to inform their individual or small group instruction. Running Records provide the opportunity to assess students independently, but can be modified to see what a students can do with support. Support can take the form of a book introduction and practice read or prompting at the point of difficulty. In assessing comprehension the teacher may ask for an unaided retelling or provide prompts to assist the student in retelling - either way, the results inform instruction. DIBELS and AIMSweb are sorting tools that provide teachers with numbers. Teachers can report these numbers to parents and explain what these numbers mean as far as a child's position on a normative scale of these numbers, but they don't really help the teacher say much about the child's reading. A teacher who administers a Running Record has immediate evidence of what the child can and cannot do in reading, what instruction is needed and where the child is in reading compared to other children in the same grade or same age. This kind of specific information is more useful to parents than number scores in "reading-like" activities. I suspect this is where DIBELS and AIMSweb have their greatest appeal. They provide numbers that can be easily reported on graphs and charts that schools must provide to local and state accountability agencies. These assessments have the same attraction as an SAT score - they reduce complex processes to simple numbers. They also have all the problems of SAT scores because they reduce complex processes to numbers that are not very revealing of a what a student knows and does not know and what a teacher needs to do in designing instruction. Systematic, documented and recorded Running Records, over time, can provide numbers for these reports and more detailed information about students actual reading progress. AIMSweb and DIBELS do have the appeal of speed, but we need to ask at what cost. Does it really make sense to administer these screening tests to normally developing readers? The Observational Survey taps into similar information as these other assessments, but takes about 45 minutes to administer. This would be prohibitive if every child needed to be assessed in this way, but the Observational Survey is given only to those students who are struggling to take on reading. For these students it provides invaluable information and clear targets for instruction. DIBELS and AIMSweb are artifacts of an assembly line view of reading. Children are placed on the conveyor belt and doses of phonemic awareness, phonics, fluency and vocabulary are screwed on and tightened until the conveyor belt spits out a reader. This very American view of production may work for widgets, but it does not recognize the complexity of language or reading development. Rather than an assembly line metaphor, we need to think of the single cell embryo that develops increasing complexity as it grows. For children, increasing language facility develops by interacting with the world, by experiencing language, first orally and then in writing, and then by gradually making sense of that complexity so that they listen with understanding and read with comprehension. Parents and teachers can guide this development and thoughtful assessments that acknowledge this complexity can inform our instruction. I am sitting at my computer this morning looking outside at an absolutely sweltering mid-July day in southeastern Pennsylvania. The weather people are warning us that the combination of heat and humidity makes it dangerous to go outside. So, I am thinking that this is a great opportunity to keep the kids inside and have a family reading day (and for me to avoid the needed garden work). These days most elementary schools provide dedicated in class time for kids to read from books they have selected because of their interests and reading abilities. Unfortunately, for many kids summer is not a time when books are readily accessible or reading time a part of a daily routine. This lack of practice in reading often leads to a phenomenon that reading researchers call summer reading loss or summer reading setback. 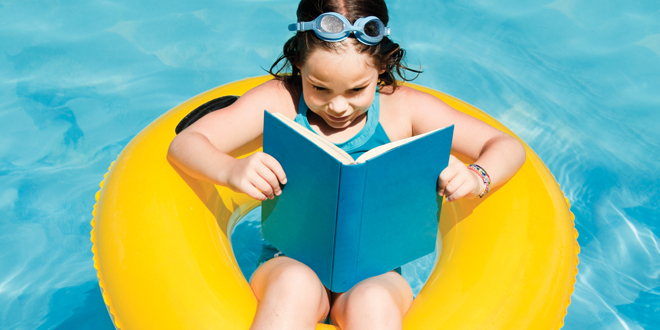 Kids who don't read over the summer, lose reading gains they made over the school year. There is plenty of research documenting summer reading loss and you can access some of it here and here. Not surprisingly, summer reading loss impacts children in low income families more than in middle income and high income families. While there is less research on how to combat summer loss, there are some common sense ways that parents and teachers can use to help fight summer loss. When kids have access to books that they want to read and that they can read, their reading improves. There is actually some good research to demonstrate this. In many lower income families access to books is limited. In order to combat summer loss we must get books in kids hands. Schools can play a role in this. Research has shown that just getting high interest books in the homes of low income children can make a difference in summer loss. Simply by giving kids books to take home at the end of the school year, schools can make a difference. Different schools have found different ways to do this. One way is to seek grants from federal programs like Reading is Fundamental or through PTA fundraisers or book fairs. Local businesses might be interested in underwriting a program of book distribution for low income children who need literacy materials. One place money might be found to support such a program is the summer school budget. It may be that students would profit more from simply getting books to take home than from a summer school program. Literacy researcher, Richard Allington, who literally wrote the book on summer loss, puts it this way. We now have the evidence that improving access to books for children from low-income families can have a positive and powerful impact on their reading development. Our evidence suggests that policy makers might reconsider summer school policies, especially for low-income children. Instead of spending a thousand dollars per student to support a summer school program, perhaps support the expenditure of $100 per student to provide kids with books they can and want to read. Allington also points out that school library books sit idle on the shelves for three months in the summer. He suggests that no child in the school should be allowed to go home without ten books from the school library to read during the summer. We might call it a summer adoption program for books, where instead of taking care of classroom pets over the summer, kids take care of library books. And here is another great way to provide access to books - open the school libraries during the summer. Education Week reports that the school libraries in 11 schools in Wilmington, N.C, are open and staffed by a certified school librarian throughout the summer. The idea is to have a professionally staffed library open to kids in their neighborhood. Kids watch a lot of TV, but TV does not have to be the enemy of literacy. One powerful way to combat summer loss is to make sure that parents turn the captions on the television while the children watch. TV captions have been shown to improve children's reading ability in a variety of ways. Literacy specialist, Cynthia Mershon, explained what research has shown about captioned TV in a guest post on this blog last year. Research reveals that when students read the words on the television screen and hear them spoken by the people in the television program or movie and see the pictures or images on the television screen that tell them what the words mean, their reading comprehension, vocabulary, fluency, and general engagement with reading increases at a higher rate than those students not watching captioned television. Parents- turn on the captions. Teachers - encourage parents to turn on the captions and make sure you have the captions on when kids view TV in the classroom. Kids love animals. Animals love kids. Many animal shelters provide a program to match up children with animals for reading sessions. This ASPCA sponsored "Book Buddies" program is an ideal way to encourage reading practice from all kinds of readers, but especially reluctant and struggling young readers. Animals don't judge, they just enjoy the companionship and kids get a warm and wonderful way to get more reading in. You can check out the program here. Summer is a time for lots of outdoor fun - swimming, baseball, picnics, hiking, cycling - but it can also be a great time for quiet, cool and relaxing indoor activities. A visit to the library to hang out in the air-conditioning and read is a perfect follow-up to a day of sweaty outdoor fun. Do everybody in your family a favor today, if you do not already have one, go to the local library to get a library card. While you are there, help your children find books that they are interested in reading or ask the librarian to help. Summer should be a time for voluntary reading; for kids to explore their own passions and interests through the printed word. Family trips to zoos and museums support children's developing literacy. First of all, the more experiences children have, the more information they have to draw on as they read. A rich store of knowledge about a variety of topics from animals to nature to history is a great ally for reading comprehension. The key to any zoo or museum visit is family talk. Children develop their language in conversation with others, so it is a good idea not just to look at the animals or exhibits, but also to talk to each other about what you are seeing and experiencing. A trip to zoo or museum inevitably ends in the museum store, where I make it a habit to allow the kids to get a souvenir as long as they also pick out a book that they would like to read. Summer reading loss is a phenomenon that is born of a lack of access to books and literacy experiences. As teachers we need to make sure our children have the tools of literacy and that parents are informed about what they can do to combat summer loss. As parents we need to be sure our kids have a library card and family experiences that encourage literate interactions. Today, July 6, 2016, is the Second Annual National Give a Kid a Book Day. Regular readers of this blog will remember that I declared this day one year ago as a way to encourage children to read over the summer. The idea generated enough social media buzz that National Give a Kid a Book Day has actually become a thing. I have applied for the day to be placed on the calendar of national days. Research indicates that many children lose reading gains they made in school during the summer because they do not continue reading (summer loss syndrome). 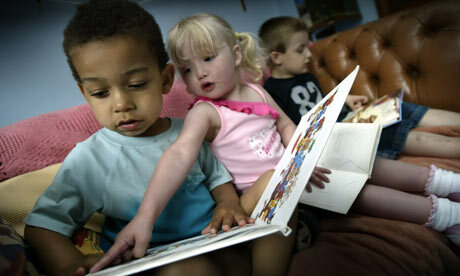 Research also shows that when children have reading material available to them they are more likely to read. So today, find a child in your life (son, daughter, grandchild, neighbor's kid) and give the child a book. While your at it, include a lollipop with your book gift to send the message that reading is sweet. What is Give a Kid a Book Day? It is a day when every adult takes time out of a busy day to let a child know how important reading is by giving that child the gift of a book. Why Give a Kid a Book Day? We have days for everything. Mother’s Day. Father’s Day. Grandparent’s Day. Administrative Assistant’s Day. Boss’s Day. National Tapioca Pudding Day (That’s on July 15 for those who wish to celebrate). Giving kids books seems at least as important as these. Why July 6? It seems as good a day as any. July is a month when most children are off from school. Giving a child a book now will give them something productive, entertaining and even edifying to do. It may also help to combat summer loss syndrome, that pernicious affliction that causes students to lose their learning gains by not sufficiently exercising their reading muscles over the summer. It is also my son’s birthday and I have given him books on every one of his 39 birthdays and I am pleased to say he is a reader. National Give a Kid a Book Day is dedicated to the many hard working people who have gone to extraordinary efforts to make sure that all children have access to books. Toward that end each year on this day we will recognize these folks by placing them on the NGKBD Honor Roll. Last year's inductees were Luis Soriano, Lisa Willever and Philadelphia's Words on Wheels. You can read about their contributions here. Dolly Parton - Dolly was nominated for the Honor Roll by blogger, Peter Greene. You can read his piece about Dolly's good works here. Dolly's Imagination Library seeks to place books in the hands of children who may not have access to them. Her program sends books to children once a month from birth through kindergarten. All you need to do to register a child and the books are sent to them for free. Dolly was inspired to start the program by her own impoverished background. She realizes books may be the possessions that spark children's dreams. Her program began in 1995 and has continued to grow across the country and around the world. You can read more about Imagination Library at her website here. Leland B. Jacobs - Leland B. Jacobs was a teacher, college professor and writer of children's poetry. Jacobs felt that the best way to help children become readers was to give them good books to read. Dr. Jacobs began his career as a teacher in a one room schoolhouse in rural Michigan and finished as a professor at Teachers College, Columbia. He championed reading aloud to children to help them "lose themselves in literature." His poetry for children was published in books and anthologies. For Jacobs, exposure to great books was the key to making children into great readers. For his efforts to get teachers to "give children literature", Leland B. Jacobs earns his place on the NGKBD Honor Roll. Margaret Craig McNamara - Margaret was the founder of the non-profit organization Reading is Fundamental (RIF). She came to Washington, D.C. with her husband, Secretary of Defense Robert McNamara in the 1960s and immediately began work as a volunteer tutor in the D.C. schools. There she observed that many children did not have access to books. Using her political contacts and working with school district officials, she secured a grant from the Ford Foundation to get Reading is Fundamental started. Today, RIF programs operate in all 50 states and provide more than 16 million books a year to children. Tomorrow my wife, Cindy Mershon, and I leave for Bloomington, Indiana to visit my son Bruce, his wife Jennie, and our brand new grandson, Henry William Walsh. We are taking lots of books as gifts. Need to get the newest Walsh off to a good literacy start. Why not do the same for a kid in your life today? If you know people who deserve to be in the National Give a Kid a Book Day Honor Roll, please nominate them in the comments section and I will include them next year. Today we celebrate the immortal words of the Declaration of Independence, perhaps the most iconic of all American documents. As we look at these words today, we know that in writing "all men", author Thomas Jefferson and the signers of the Declaration were not being inclusive. "All men" did not include, of course, women, African Americans or Native Americans. The founding fathers were not so much radicals as they were entitled members of the new American merchant/landed class seeking redress from an unfavorable business environment enforced by King George III of England. There is evidence, however, that at least one of the men wandering the halls and grounds of the Pennsylvania State House was, indeed, for his time, a radical. Timothy Matlack, a Philadelphia brewery owner and a lapsed Quaker, served as the clerk to the secretary to the Second Continental Congress, Charles Thompson. Matlack got the job after selling a few cases of Madeira wine to his neighbor, Benjamin Franklin, who, discovering Matlack's facility with calligraphy and penmanship, hired him as a scrivener. Matlack was unlike the others gathered to declare independence from England. He was far from elite or wealthy. He was drummed out of the Quakers because of his penchant for gambling, horse racing, cockfighting, public brawling and failure to pay his debts. His debtor status landed him in prison twice. Matlack further alienated himself from the wealthy Quaker businessmen of Philadelphia by publicly criticizing them for holding slaves. Finally, of course, Matlack favored war with England, while Quakers abjured all wars. Matlack was a rabble rouser. In 1773, he led an angry protest of Philadelphia brewers against the Philadelphia elite who controlled commerce in the city. More importantly, he led a revolt against the conservative leadership of Pennsylvania who opposed independence and he eventually helped have the more conservative Pennsylvania delegation replaced by those pushing for independence. Later, Matlack served as a colonel in the Continental Army and fought alongside George Washington at Trenton and Princeton. He was an elected representative to the Continental Congress, and he helped write the new constitution of Pennsylvania, which was the most radically democratic of all the new States' constitutions. The Pennsylvania constitution, unlike all others, called for the direct election of representatives. It was a people's constitution. Matlack's enthusiasm for rebellion was palpable. When the Continental Congress approved the Declaration of Independence on July 4, 1776, Timothy Matlack, serving as clerk, grabbed the text, ran to the steps of the State House and read the proclamation aloud to a gathering of citizens of Philadelphia. This was the first public presentation of the decision of the Continental Congress. 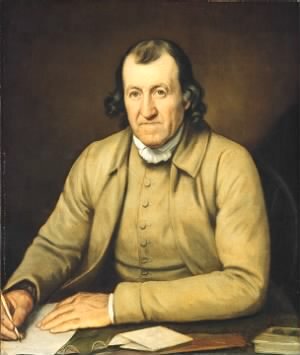 Two weeks later, after the New York delegation finally assented to the Declaration, Timothy Matlack, known to the Congress for his expert penmanship, was assigned the task of "engrossing" the official document. Matlack finished the task in short order and on August 2, the final document - the one that was sent to King George III and the one that is on display in the National Archives in Washington, DC - was signed by John Hancock and the rest of the founding fathers. Timothy Matlack is my sixth great grandfather. I wanted to tell his story because I think it represents all the small voices that have had a hand in the great legacy of this country - the singular idea that all human beings have the right to life, liberty and the pursuit of happiness. It really is the small voices, the unknown names, the people living and working and loving and striving and protesting that make this country what it is. We have been very imperfect in our pursuit of the ideal of liberty and justice for all, but those of us who keep trying to foster that ideal are living up to the words of the Declaration of Independence. In 2004, Timothy Matlack was briefly rescued from historical obscurity when his name showed up in the movie National Treasure. A clue that the movie's characters find reads: "The legend writ, the stain affected, the key in silence undetected, fifty five in iron pen, Mr. Matlack can't offend." The clue leads to the Declaration of Independence and a map on the back supposedly placed there by Matlack. Timothy Matlack offended many in his day. He does not fit comfortably alongside our other founding fathers, but if today we are going to continue the fight for true equality, true democracy, we, like Matlack, are going to have to offend many, too. Probably no issue in the teaching of English can fire more debate than grammar instruction. Google, "Should grammar be taught?" and you can find literally thousands of arguments on either side. By the way, notice that I just used "Google" as a verb, which would drive my 7th grade English teacher, Mrs. McGarry, up a wall; but I digress. The issue, of course, is not whether grammar should be taught, but how. On this issue the answer is clear: one-hundred years of research has consistently demonstrated that skill and drill, learn the rules, underline the subject and predicate, diagram the sentence, do practice lesson 12 in your Warriner's, type instruction does not improve writing. Grammar instruction must begin with what students already know about grammar (quite a lot it turns out) and build from there based on the student's own writing. Like most learning, context is everything, and the best context for learning grammar is the student's own writing. Instead of thinking of grammar as a set of rules to be followed, we need to think of grammar as a set of tools to be used by the writer in the process of meaning making. One of the great things about teaching writing is that evidence of what students know and don't know is constantly available on the page right in front of us. When we see second grade students beginning every sentence with "and", we know we can teach a lesson on sentence variety and have students practice in their own writing. This is so much more effective than decontextualized lessons about the "rule" of not starting a sentence with a conjunction, which by the way is not a rule. There is no rule in English that says we should not start a sentence with a conjunction. It is just that stylistically it is not a good idea to over use that structure. If our third grade students are using a lot of short choppy sentences in their writing, we know to teach a lesson on sentence combining and coordination. If students are using dialogue in their writing, it is a good idea to teach them how to punctuate it (and also how to use dialogue effectively to move the plot forward or reveal character). One of my favorite ways to teach grammar in context is to show students examples of professional writers breaking the rules. Here is a passage from the short story My Grandmother's Hair, by Cynthia Rylant. We talked of many things as I combed her fine hair. Our talk was quiet, and it had to do with those things we both knew about: cats, baking-powder biscuits, Sunday school class. Mrs. Epperly's big bull. Cherry picking. The striped red dress Aunt Violet sent me. Some students will immediately spot that Rylant has three sentence fragments in this passage. I would ask them how they know? How could you make these fragments into sentences? How does changing them into sentences change the feeling of the paragraph? Why do you think Rylant chose to use fragments? When might it be ok to use sentence fragments in our writing? Is there a place in your own writing where you could use this technique of listing to good effect? I believe that looking at the use of fragments in professional writing is an effective way to help students learn what fragments are, to spot them in their own writing, and if they choose, use them for effect. Here is another passage from the same story. But we didn't always talk. Sometimes we were quiet. We would just think, and my small hands would move in my grandmother's hair, twirling, curling, rolling that soft grayness around. We thought about good things, the big clock in the living room ticking, and sometimes my grandmother would shiver and we laughed. And "Whoop! There it is!" Rylant using a conjunction to open a paragraph. Another point for discussion. I would also want my students to notice that Rylant varies her sentence length here, starting with two very short sentences and moving to two longer sentences. And then there is the alliteration of "twirling, curling, rolling." So much to talk about. I was a thin, blond headed little girl, and I would climb up on the back of the couch where my grandmother was sitting, straddle her shoulders with my skinny six-year-old legs, and I would gently, most carefully, lift a lock of her soft gray hair and make my little pink comb slide through it. I would have the students work together to break the sentence down into component clauses and then put them back together again in a variety of multi-sentence and single sentence combinations. These lessons would always be followed by having the students go back to their own writing to see if they could apply what they learned. One area where a focus on grammar as meaningful work is highly effective is in sentence clarity. Some of my students, whether in elementary, high school or college, have a great deal of trouble consistently writing clear sentences. I think lack of clarity is partly a lack of experience as a writer, but mostly due to a lack of a real audience in the mind of the writer. When students write without a clear sense of audience they often, in Flower and Hayes term, "write for the writer." That is they write something that makes sense to them, but not to a potential reader. In order to focus on clarity, students need to "write for the reader", recognizing that it is their audience who must make sense of what is written. When I see this problem in a student's writing, I try to provide the writer with a real audience, me, by asking questions of clarification. I am not clear what you are saying to me here, can you help me to understand? Can you tell me orally what you mean to say here? Can you rewrite this so that I can understand what you mean? Even better, of course, would be to provide the writer with an audience of peers, who could listen to the piece and ask questions that show the writer where s/he was misunderstood. As a seasoned writer, I don't so much apply rules when I write, as I do manipulate them. Grammar is my tool. Would using a parallel structure here make the point more dramatic? Would figurative language clarify my point here? I only really think overtly about rules in the editing stage and even then what drives the editing effort is an attempt to make the writing as clear and communicative as possible for my audience. Will a comma here help my reader make sense of this sentence? Would a couple of shorter sentences here make more sense? Ultimately, that is how I judge my own writing and the writing of others: Not by how "correct" it might be, but by its overall communicative effect.